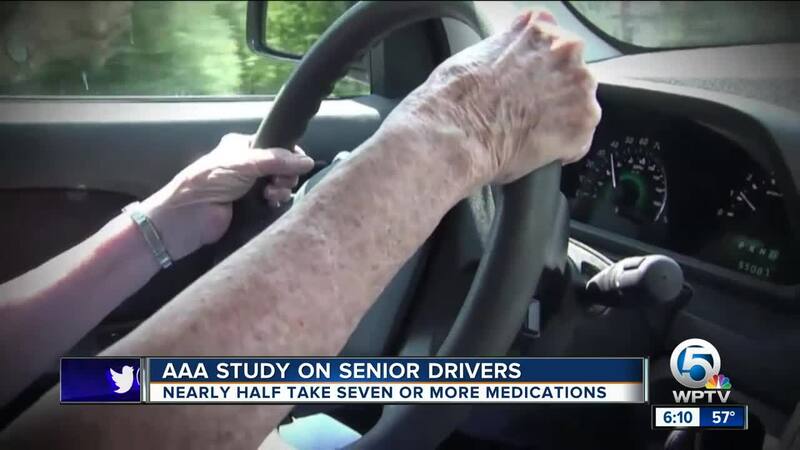 A new AAA study found that nearly half of drivers ages 65 and older are behind the wheel while using seven or more types of medications. 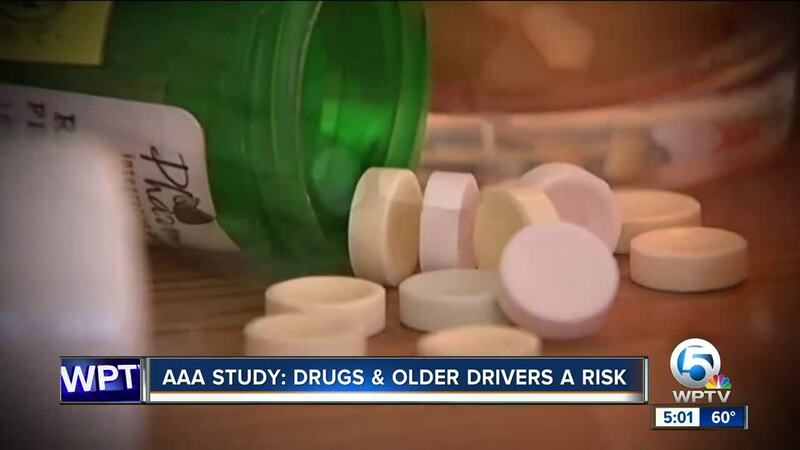 The study also says some of the drugs that older drivers are taking can increase the risk of a crash by 300 percent. "I know some of them that should not be driving," said Fred Splain. Splain is 90 years old and is proud of his clean driving record. He doesn't take any medications and still feels safe getting behind the wheel. "You just have to be more alert, observant, what's going on around you, these fools trying to run over you and get ahead of you," said Splain. Dr. Daniel Fortier with Good Samaritan Medical Center in West Palm Beach says certain medications for the heart, sleep, and anxiety can cause major side effects that drivers may not even be aware of. "Studies have been, over the last 20 to 30 years, showing that medications can cause slower thought process, slower reaction time, delayed memory, but yet on the surface you don't realize it's happening," said Dr. Fortier. According to Florida's Integrated Report Exchange System, crash data from the Palm Beach County Sheriff's Office, Martin County Sheriff's Office, and St. Lucie County Sheriff's Office for this year shows the largest percentage of drivers involved in crashes to date this year were over the age of 65. That doesn't mean those drivers were medicated though. AAA's study suggests that people talk with their doctors about side effects. "I will say I wouldn't be surprised if that warning is not heeded," said Dr. Fortier. Splain says it's hard for seniors to give up the freedom that driving gives them, but says he would if he had to. "If I got to that point at my age and know that I'm not safe, no, I will not drive, I will give it up," said Splain. To learn more about the side effects your medication can cause, go to Roadwise RX .